While we always want to be able to count on the fact that the medical professionals who treat us are experienced, adept and able to provide us with quality care, this trust is never more important than when surgery and anesthesia is involved. Although the surgery itself may be people’s main concern, the process of administering the anesthesia can actually be a source of serious complications. Here are some important facts people should know about anesthesia errors and medical malpractice. If you think you have a claim, contact the Savage Law Firm. In this article, we’ll take a closer look at some facts that are important to know about anesthesia errors and medical malpractice. If you or a loved one has been injured due to anesthesia errors, don’t hesitate to contact the Portland medical malpractice lawyers at the Savage Law Firm to learn more about your rights. Fact 1 – Defective medical equipment may be responsible for anesthesia errors. The manufacturer of the defective may be held liable for patients’ injuries (such as in cases when the device is found to have an inherent design flaw and/or to have been made from cheap or flimsy parts). Fact 2 – Negligent or incompetent medical professionals can cause anesthesia errors. May fail to consider a patient’s allergies or other medical conditions that could affect the dosing of the anesthesia. They are not paying attention to what they are doing. 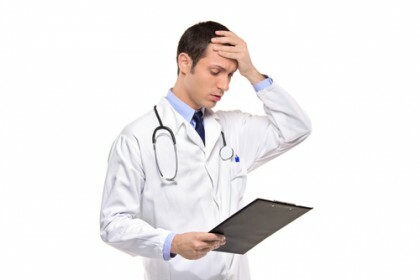 They fail to carefully read a patient’s medical report and/or ask the patient specific questions about their health. They are exhausted (due to pulling back-to-back shifts). In many cases, anesthesia errors are caused by the negligence of medical professionals. 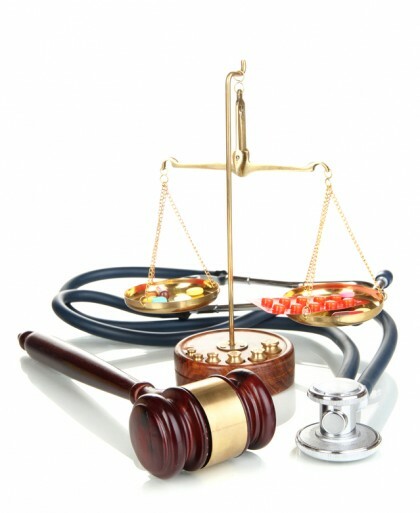 Contact our Portland medical malpractice lawyers to learn more about your rights. Regardless of why or how the anesthesia errors occur, the bottom line here is that the negligent medical professional can be held liable for compensating injured patients when these mistakes take place. Fact 3 – Anesthesia errors can lead to permanent or even fatal injuries. Tragically, anesthesia errors can have severe, irreversible and potentially fatal impacts on patients. In fact, as researchers at Columbia University found, of all of the various types of injuries that patients can develop due to anesthesia errors, respiratory problems are among the most common. When breathing problems arise due to mistakes made with the administration of anesthesia, far more serious problems – like brain injuries and death – may occur if the initial error and the breathing complication goes untreated (or if it takes too long for medical professionals to diagnose these complications). Fact 4 – Dosing problems are the most common type of anesthesia errors that occur. While these facts point out some important aspects of anesthesia errors, contact our Portland malpractice attorneys for superior representation in these cases. Dialing in and delivering the appropriate dose of anesthesia is the most common type of mistake made with this form of medical malpractice. In some cases, dosing problems can lead to patients not getting enough anesthesia and, therefore, being able to perceive and possibly feel the effects of surgery, a situation commonly referred to as anesthesia awareness. When this happens, it can lead to cases of severe anxiety and persisting post-traumatic stress disorder (PTSD). More often, however, anesthesia errors involve patients being overdosed. In fact, researchers at Columbia University have found that as many as 47 percent of all anesthesia errors involve patients being overdosed. Fact 5 – Victims of anesthesia errors can turn to the Portland medical malpractice lawyers at the Savage Law Firm for help getting the compensation to which they are entitled. If you only remember one thing about anesthesia errors and medical malpractice claims, it should be that the Savage Law Firm is here for you and ready to advocate your rights in these cases. The fact is that, after anesthesia errors, patients will need to focus on their physical recovery and that they will need top-of-the-line legal representation to ensure they are able to get the full amount of the compensation they deserve. That’s where our Portland medical malpractice attorneys will be pivotal. We have the experience and resources necessary to make us effective advocates for people injured by anesthesia errors, and we are ready to fight for your rights to compensation and justice. Have anesthesia errors or any type of medical malpractice caused you or a loved one to be seriously injured? If so, it’s time to contact the Portland medical malpractice attorneys at the Savage Law Firm. Since 1977, we have been committed to standing up for the rights of malpractice victims and providing them the highest quality legal services so they are able to obtain the compensation they deserve. We realize how devastating anesthesia errors can be, and our lawyers are here to aggressively defend injured people’s rights to both justice and compensation. While this means that our Portland medical malpractice lawyers will work diligently to help our clients tell their stories in court, it also means that our attorneys and dedicated staff will vigorously stand up to insurers and others outside of the courtroom to ensure that our clients are able to obtain the settlements they deserve. Helping you recover from the financial setbacks caused by medical malpractice is one of our primary goals. Our Portland personal injury attorneys encourage you to learn more about your rights and case by setting up a free initial consult. We represent clients in communities in both Oregon and Washington from our offices in Portland and Seattle.